7. Build loyalty and trust. Last week I was interviewed by a reporter from an online lifestyle blog who was writing a story on building a dream team for home buyers. She referred to her own “miserable” recent experience of working with someone whom she confessed she would never refer, admitting, “I know many millennials like myself might go to a site like Zillow or Trulia to contact an agent on a specific home they want to see rather than call a Realtor office and get matched up with someone.” She said her agent did nothing more than open a door to a property she had asked about, knew little about the market and failed to recommend needed resources. The reporter had one pressing question: How do you find a trustworthy agent particularly if you don't have friends or family who have moved recently? To begin, it’s important to realize that Zillow, the parent company of StreetEasy and Trulia, is a media company and not a real estate brokerage. These sites sell a product called Premier Agent which is a paid advertising platform for agents who buy space on a particular listing. For Zillow, it’s a $600M profit center. For the consumer, it’s confusing, misleading and not the best place to find a trusted advisor. When buyers click Contact Agent, they are directed to an unvetted third party who has paid for a lead in a particular zip code and who more often than not has limited experience and may not have ever even visited the property. Same with rival Realtor.com, led by Rupert Murdock’s News Corp., also a media company that sells advertising space to real estate agents. It’s customary for sellers to interview agents to determine who will best represent their interests, and buyers should follow this practice as well. Experience and expertise do matter. Attend open houses in neighborhoods you're most interested in, and speak to the listing agents. At the point your weekend pastime transitions to a serious search, enlist the aid of a professional. Referrals from friends, family and business associates are best options. Take the time to collect agent names, call them and meet with three candidates over coffee. Look for a strong communicator, a patient listener and a confident collaborator. Stay clear of big egos as often these get in the way of negotiations. Ask for references from recent buyers and check these out. 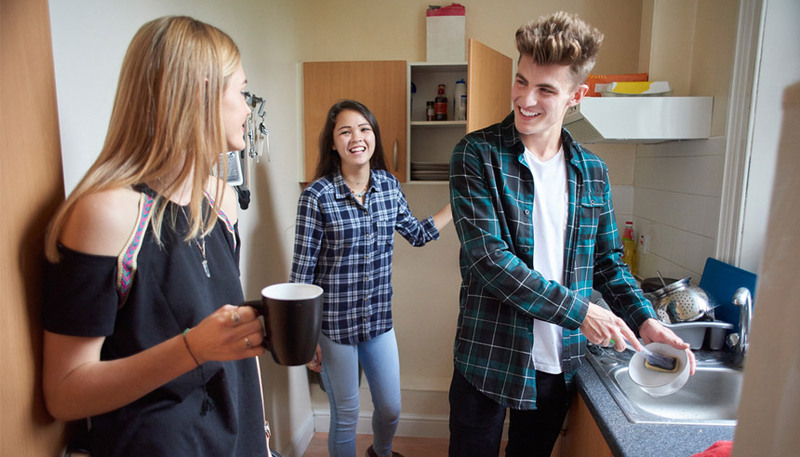 In Manhattan where co-ops predominate over condos, and where condos are more costly, millennials will probably find co-ops more affordable, so working with an agent who is experienced with the nuances of the co-op board process is crucial. Check credentials. Is the agent a member of the Real Estate Board of New York, a trade organization that promotes professional standards and ethical behavior. Has the agent completed the REBNY certified program for New York Residential Specialists (NYRS®), a designation that identifies an elite network of fewer than 500 brokers who have committed to professional excellence and advanced education. You will be asked to sign an Agency Disclosure form at the time of your “first substantive contact” with the agent. Understand that this document is not a binding contract but acknowledges the relationship between you and the broker. Required by many states including New York for all residential transactions, it enumerates agency obligations as follows: A seller's agent has fiduciary responsibilities to the seller of "reasonable care, undivided loyalty, confidentiality, full disclosure, obedience and duty to account," and a buyer's agent "should (a) exercise reasonable skill and care... (b) deal honestly, fairly and in good faith; and (c) disclose all [material] facts known to the agent." While NY State permits Dual Agency and allows the broker to represent both principals, when this occurs, your rights are compromised to undivided loyalty, confidentiality and full disclosure. The Seller’s Agent is not the buyers best advocate, particularly not in competitive bid situations, even though you may think that working directly with the Seller’s Agent is advantageous because there’s not another agent with whom the seller’s agent needs to share the commission. Make sure your agent has the time and resources to assist with your search. It’s important to connect personally as you’ll likely be working together closely for the next several months. It’s in your best interests to work with only one agent to build loyalty and trust. The best buyer/broker relationships are collaborative and depend on regular and open communication. Buying your first home is not only a pivotal life event, it’s the largest single acquisition for most individuals and represents a major portion of net worth. High on life’s stress meter, it can be fraught with emotion and anxiety. In my experience, buyers need to take the time to identify an agent who will serve as advocate, advisor and guide to help navigate the search, identify a property and get to the closing table.